"Bye Bye Monster" Book & Monster Room Spray Giveaway!! Are Your Kids Afraid of Monsters? Does Their Being Afraid of Monsters Keep Them (and You) Up at Night? I have spent many nights assuring Ju that Mom & Dad would never let monsters come in the house. We explain that he is safe in his home, in his bed. We've read books on the subject and still when the lights go out, he wonders if there are monsters lurking in the dark. When I received the "Bye Bye Monster" Storybook & Room Spray to review I was excited to try them, but wasn't sure they would work. The story is about a little boy named Joey and his fear of monsters. 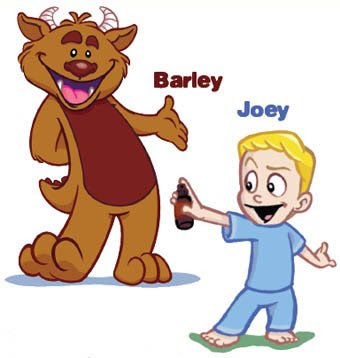 With the help of his monster spray, he conquers his fears and meets a friendly monster named Barley. Together they share adventures on Monster Street. It's a fun tale that helps to empower and dis-arm the fear of monsters. As you can see Bye Bye Monsters has received high acclaim. If you have a child scared of things that lurk in the night, I highly recommend "Bye Bye Monster". 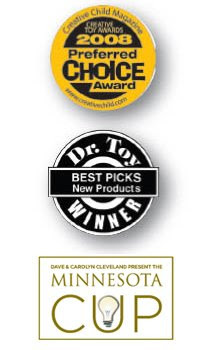 Kids Thyme also carries "Bugs Be Gone" organic insect repellent, and "No More Germs" organic anti-viral spray. Of course I love the idea of these sprays being made of natural, health & Earth friendly ingredients. There is also a personal line & cleaning line - check them out! Kelly Lucente, Creator and Author of Bye Bye Monster Brand and Series of Books would like to offer one lucky reader a Bye Bye Monster storybook & room spray! I think it is wonderful. What a great idea! I really thing the stuffed monster is adorable! Thank you! I really like the site! I would also love to be able to check them out at an event! What an awesome idea! This sure meets a need I have for my 3 1/2 yr old who is afraid of the dark. Clever items could only make bedtime better. What an ingenious idea! I also like the Bugs Be Gone insect repellant. what a neat idea. Barley the Stuffed Monster is so cute too. Bye bye monster looks like a real good project, one of my younger cousins used to have night fears and I wonder if this kind of thing could have helped. I'm also a follower via Google. The Perfectly Peppermint disinfectant in the Bye Bye Monster shop is definitely unique and kid-friendly! What a cute shop. The plush monster is so cute and cuddly looking! I think that it is a wonderful way to get your kids to not be afraid of "monsters" I like the little spray it comes with and the plush monster is so cute! I think it's a nice website! Very appealing and such a creative idea! I follow and tweeted on Twitter! This is a wonderful idea...my niece is often afraid of the dark so this would help her!